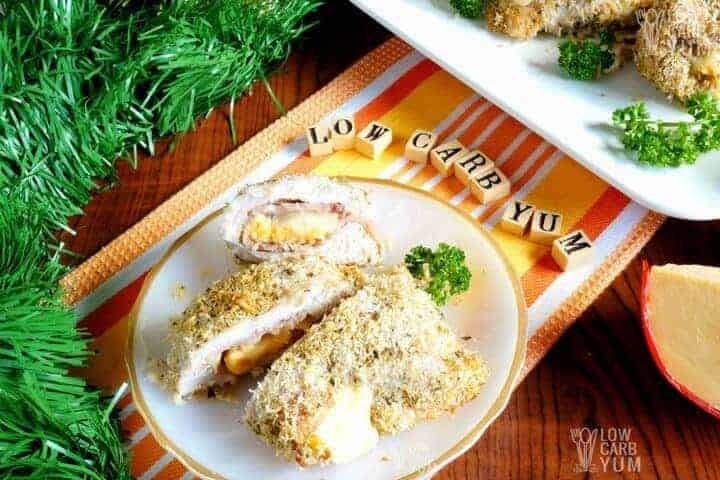 A delicious keto low carb chicken cordon bleu with a crisp coconut coating. 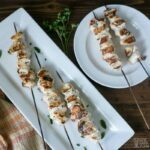 It’s an easy entree that’s elegant enough to serve on holidays! 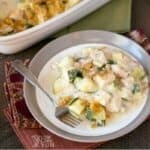 Although I have a super easy chicken cordon bleu style casserole recipe, it’ not the same as the original. 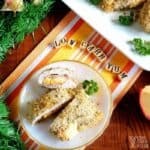 So, I set out to make a low carb version of this breaded stuffed chicken. After learning about how foods aggravate autoimmune conditions like my Graves’ disease, I’ve cut way back on nuts. And, I’ve been eating a lot more coconut. 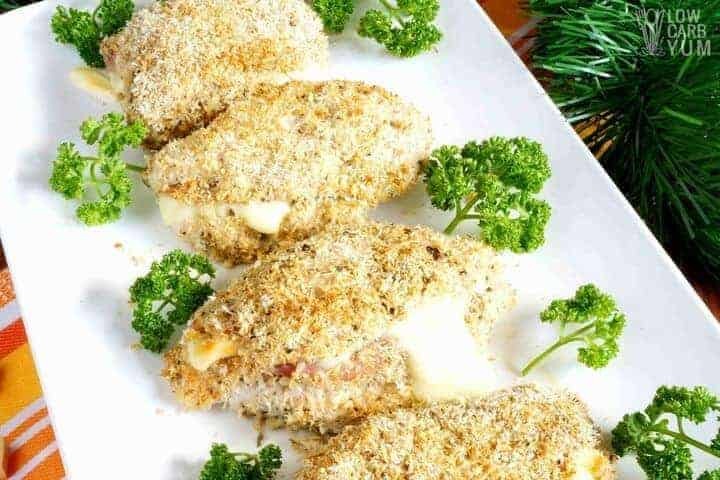 Rather than use a low carb flour for the breading, I thought dried coconut would make crispier coating on the low carb chicken cordon bleu. The breading is similar to what was used in my coconut shrimp recipe, but without the added coconut flour. And, I was right about using dried shredded coconut. Not only did the coating bake up crisp, it has a nice coconut flavor which I really love. 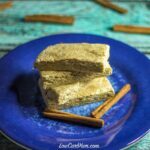 If you aren’t into coconut, you may want to use an almond flour type breading instead. 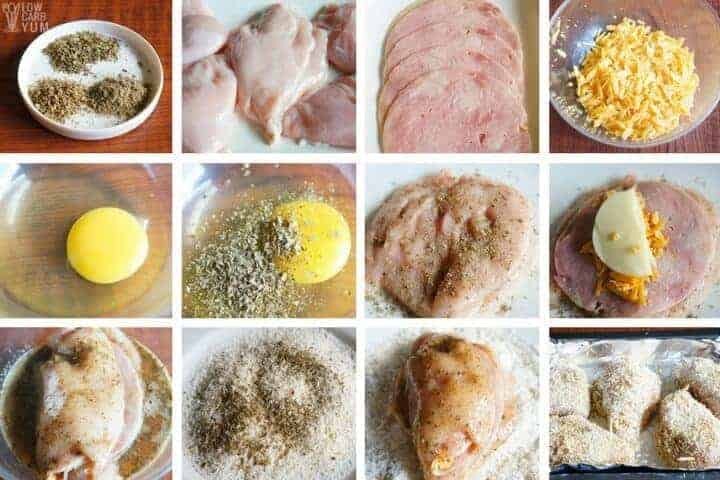 You can see an example of that in my gluten free shake and bake chicken recipe. 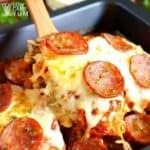 I chose to use Edam cheese in the stuffing along with mozzarella cheese even though Swiss cheese is typically used. The reason is because queso de bolla, the name of Edam cheese in the Philippines, is traditionally served at Christmas. 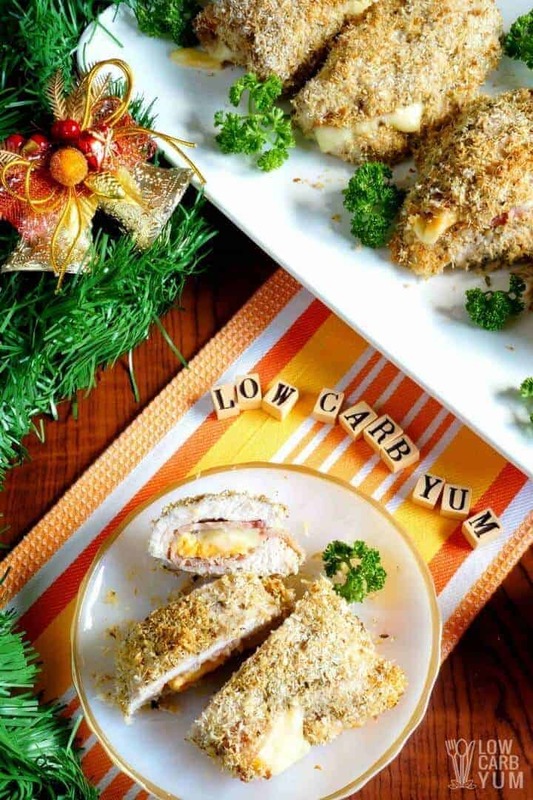 So, this low carb chicken cordon blue is perfect for serving at a Filipino holiday dinner. 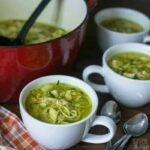 I’m planning to make it as an entree for my family’s Thanksgiving dinner. I think my father is going to love it because he’s a big coconut eater too. My sister is hosting the family for Thanksgiving and I’m sure she’ll make a delicious turkey with all the fixings. 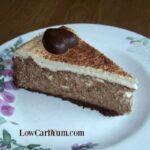 But, she’s not as strict with carbs as I am so I always like to bring alternative dishes. 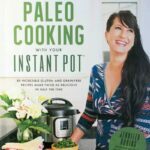 A lot of my family members have gone gluten-free and a few of them have moved to low carb. I’ve been avoiding dairy, too. However, my food sensitivity test showed that I wasn’t sensitive to dairy so I allow myself to have real cheese on special occasions. You may wonder why I avoid dairy if I’m not sensitive to it. It’s because the casein protein in milk products can trigger inflammation which is something you don’t want if you have an autoimmune thyroid disorder. The casein in goat’s milk is much closer to human milk, so when I do indulge in cheese, I look for ones that are made with goat milk. Luckily, there’s an awesome farm nearby that makes goat milk cheese! 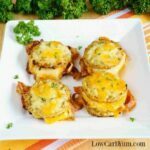 I may pick up some of that cheese made with goat’s milk to use in this low carb chicken cordon bleu recipe. It would make the recipe a bit more gourmet. And, it’d be interesting to see what my family thinks of it. I’ll definitely slice up the cooked chicken so the pieces aren’t too big. 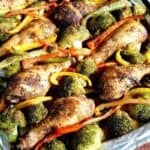 In fact, this stuffed chicken recipe makes a great appetizer when sliced up in smaller pieces. 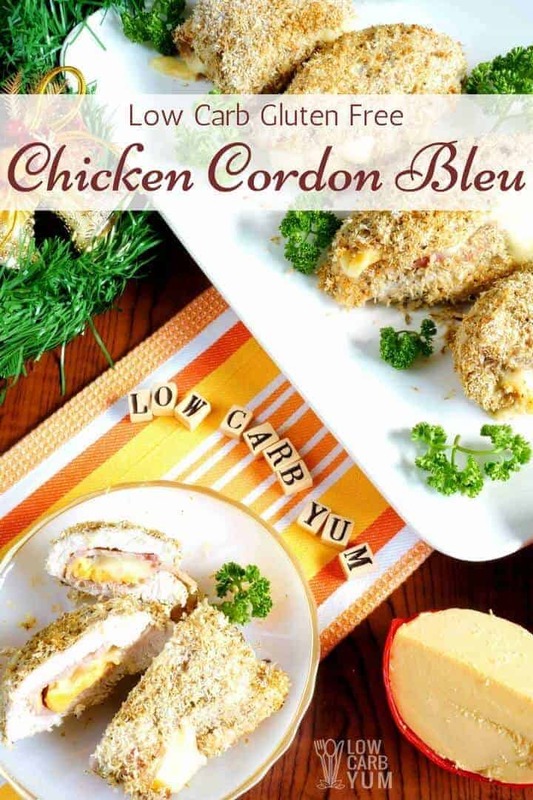 To be honest, I’m loving this traditional chicken cordon blue much more than the casserole version. And, I think this entree is a lot prettier to serve. 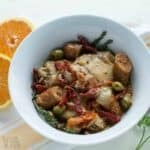 I hope you’ll give this simple chicken dish a try. And, if you do make it, I’d love to hear what you think in the comments.